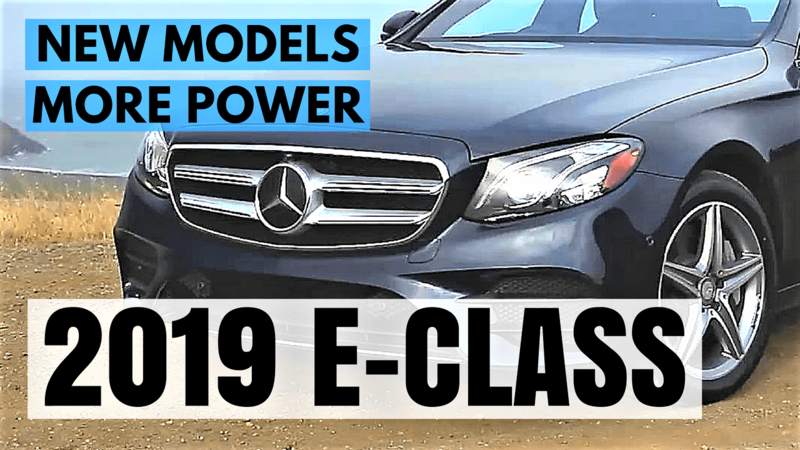 Important Update to 2019 E-Class Sedan lineup! Mercedes-Benz USA informed today that the previously announced E350 Sedan will not be available in 2019 model year of E-Class Sedan. 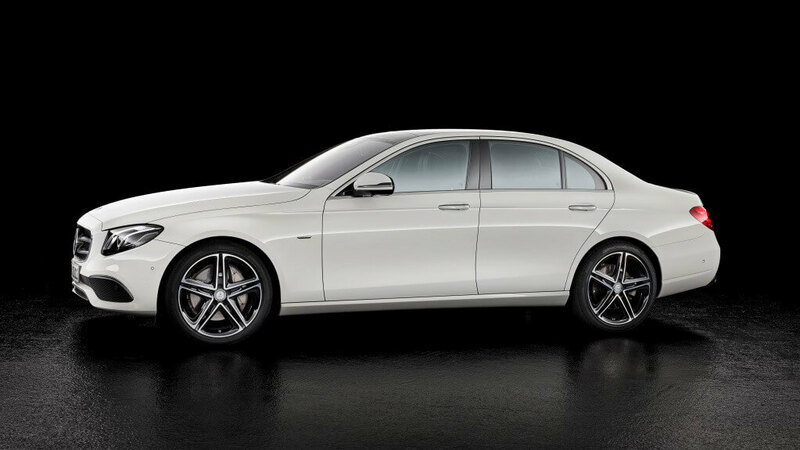 Instead, 2019 E-Class Sedan will continue with the same 2.0L inline-4 cylinder engine E300, which outputs 241 HP and 273 lb per ft of Torque. The acceleration obviously stays the same at 6.2 sec from 0 to 60 MPH. 2019 Mercedes C63 AMG Review of Changes: What’s New and Updates! Brand new 2019 Mercedes-Benz C63 AMG and C63s AMG: all models including Sedan, Coupe and Cabriolet acquire the new Panamericana grille. 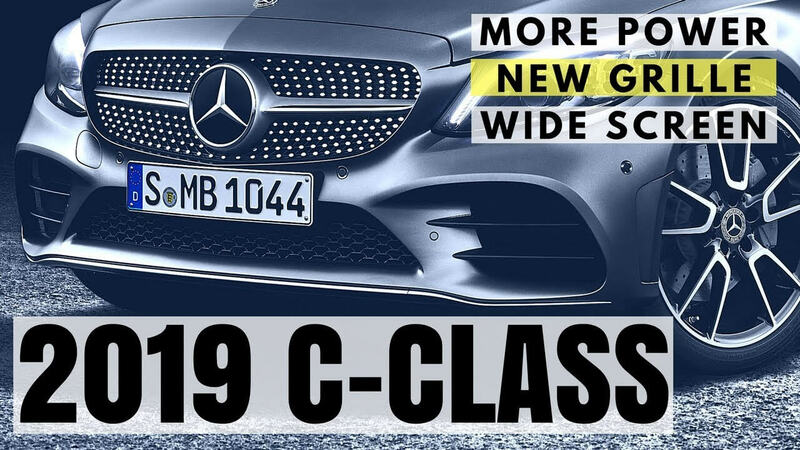 Previous twin louver grille 2019 C63 passed to 2019 C43, which passed it’s Diamond block grille to 2019 C300 equipped with AMG line. 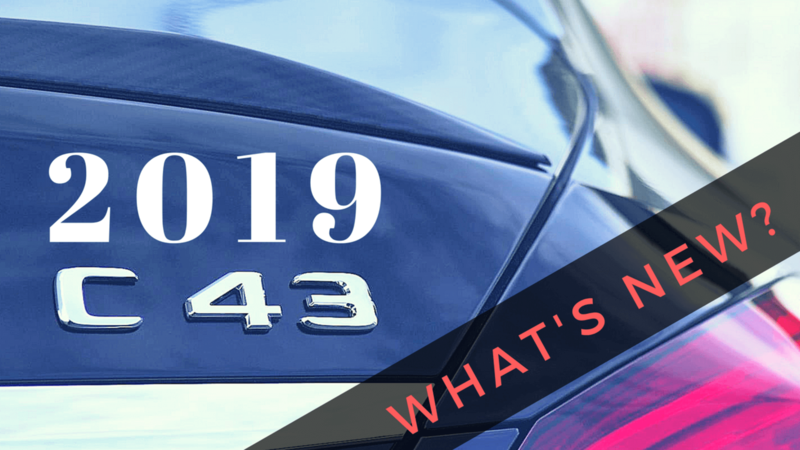 2019 Mercedes C43 AMG Review of Changes: What’s New and Updates! 2019 C43 AMG takes the front grille from it’s cousin C63 AMG, from the previous 2018 model year. The new twin-louver grille replaces it’s previous Diamonds grille from 2018. Also 2019 C43 gets new and updated front and rear bumpers. You can see the difference between both. 2019 Mercedes-Benz E-Class sedan offers 3 models: E350, E450 and E63s AMG. 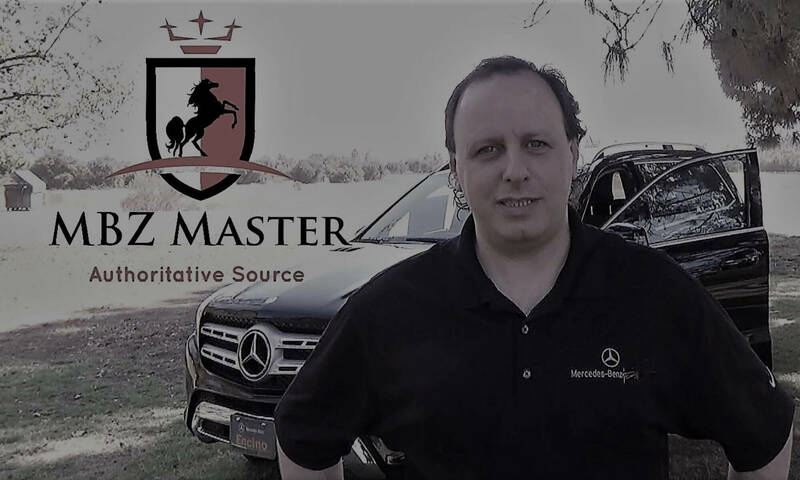 2019 E350 model replaces 2018 E300 and 2019 E450 model replaces 2018 E400. 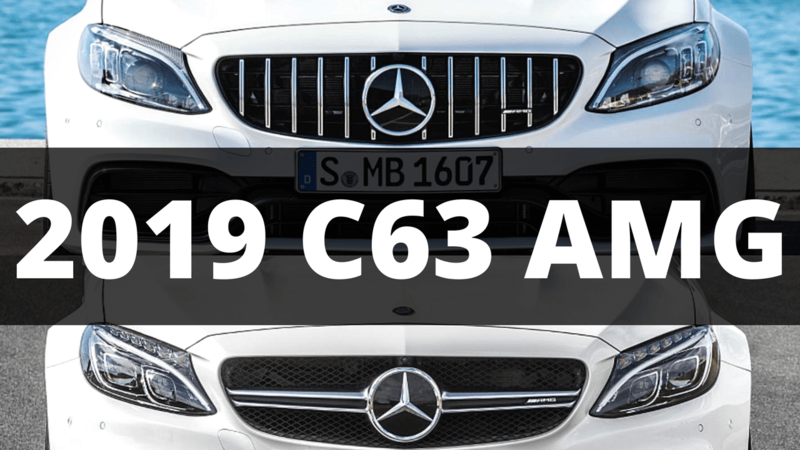 2019 Mercedes C-Class Review of Changes: What’s New and Updates!